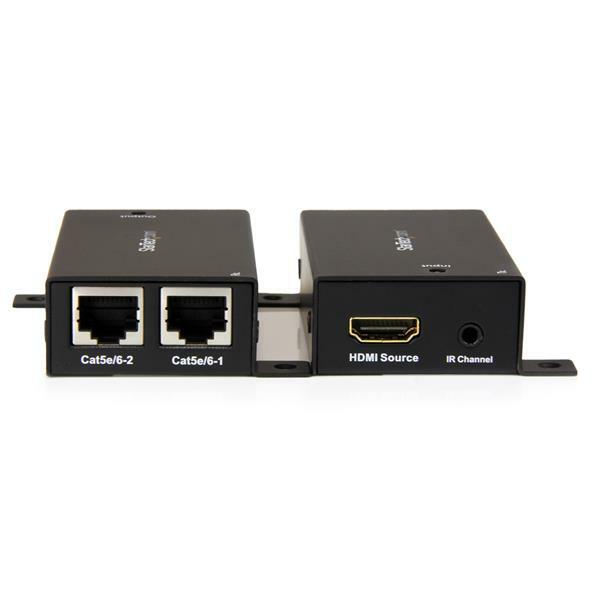 This HDMI® over dual CAT5 extender transmits your HDMI A/V signal with IR to a remote location up to 30 m (100 ft.) away over dual CAT5/CAT6 cables. 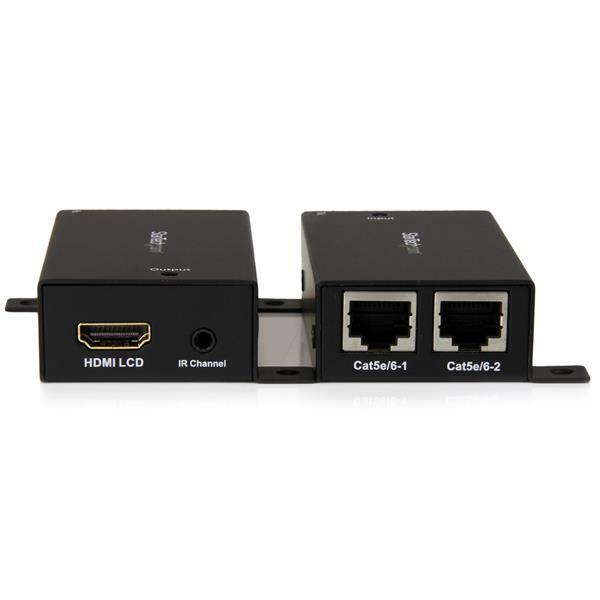 Unlike most 1080p HDMI extenders that can require up to two power adapters, this HDMI over CAT5 extender is powered using the HDMI bus and does not require external power. Power-free installation makes your digital-signage solution simple. Mounting hardware is built into both the transmitter and receiver to ensure a discreet, professional installation. With IR extension built-in this HDMI transmitter and receiver kit offers remote infrared extension, enabling you to control your video source from the remote display, ensuring you can always see what you’re doing, even from a distance. 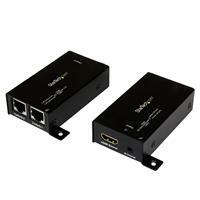 This HDMI extender maintains your 1080p picture quality, ensuring your remote picture is crystal clear. The extender also supports 7.1 audio for optimum sound quality. Support for HD video and 7.1 channel audio lets you create brilliant digital signage solutions that capture the attention of your audience. 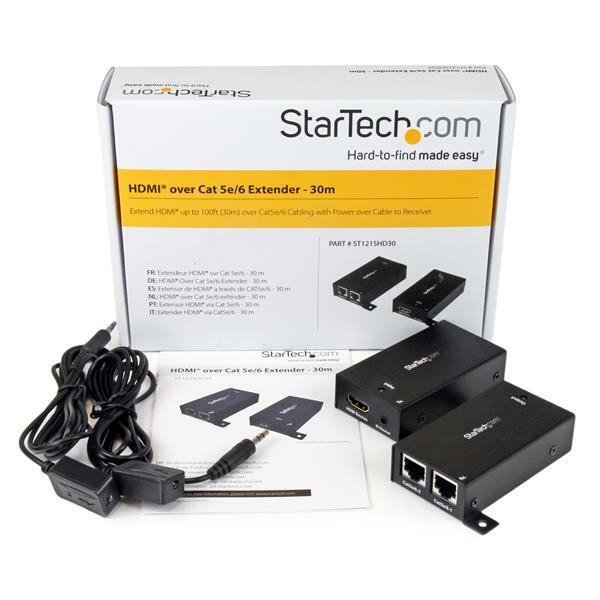 The ST121SHD30 is backed by a 2-year StarTech.com warranty and free lifetime technical support. This extender requires two CAT5 cables for the entire distance of your cable run. ST121SHD30 draws power from the HDMI source device, as a result a limited number of devices may not be capable of powering the unit, such as the Mac Mini or Samsung Chromebooks.